Speaking literally, chirba chirba is Mandarin for "eat eat!" 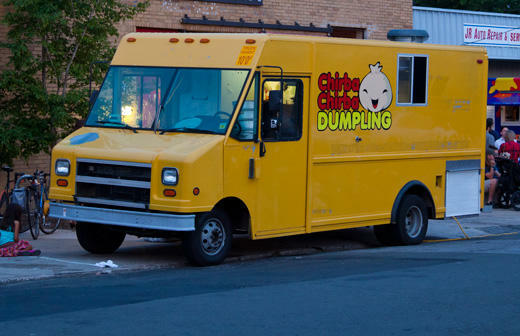 But the phrase evokes warmth and hospitality to friends and guests, and that's what Chirba Chirba tries to do with the Chinese-style dumplings they serve from their food truck. You can find out where they'll be on their website so you can try dishes like the Porkelicious, a dumpling filled with pork, scallions, and edamame, or the Five Spice Chicken, a big, fluffy bun stuffed with shredded chicken. They're recipes that led the TV show My Family Recipe to make Chirba Chirba the subject of an episode.